If you are concerned about a national opinion trend that could impact the current political environment with the potential to positively shape or warp (depending on your vantage point) the future of our great county, then keep reading. This month, Gallup released a nationwide poll of 1,505 American adults aged 18 and older revealing positive and negative views of capitalism and socialism. Then, here on Monday at Townhall, Matt Vespa discussed the poll’s findings in his piece, "ICYMI: For the First Time, Democrats Now View Socialism More Favorably Than Capitalism." However, my focus is to sound the alarm on what I believe is distressing data emanating from the 18 to 29-year-old age group. 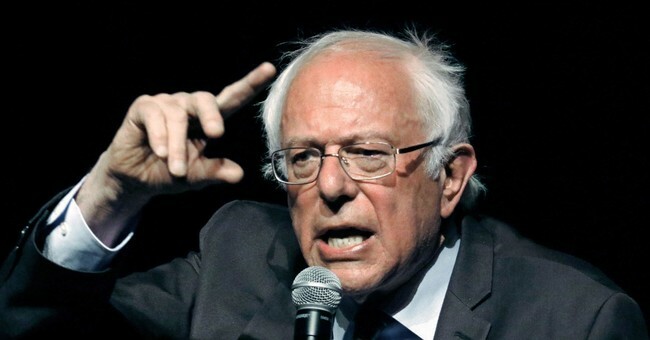 According to Gallup, 51 percent of these young Americans have a positive view of socialism compared to 45 percent who hold a positive view of capitalism. This “positive view of socialism” among our next generation of voters, workers, and leaders, could fundamentally transform our nation over the ensuing decades by widely expanding the role of government. For example, back in April, a Rasmussen poll found that a “government guaranteed job program” was supported by 46 percent of Americans. But, Gallup’s data is also clear that, at least for now, aging positively correlates with a more favorable view of capitalism. Consider that 60 percent of Americans between age 50 and over 65 view capitalism positively, while only 28 to 30 percent of the over-50 crowd hold positive views of socialism. Signaling the distressing youth trend, 41 percent of those age 30 to 49 have a favorable view of socialism. That is 11 points higher than those between age 50 and 64. The good news is that capitalism is overwhelmingly preferred by 58 percent of this 30 to 49 age group in their prime working years. The takeaway from Gallup’s data is that the younger you are increases the likelihood that you will view socialism more positively, culminating in a majority of 18 to 29-year-olds holding that perception. Are you thinking about buying a new car? Under the economic system that 51 percent of you under age 30 now view positively, the government would “own” your new car since there is no private property under socialism. Moreover, the government controls whether or not you should even be allowed to purchase your new set of wheels, or any mode of transportation, new or used. Please note that all-important phrase, “free market.” And what does Merriam-Webster say about that? Amazingly, only five words. Surely, all Americans young and old enjoy “free competition” when comparing the prices, benefits, and quality of thousands of purchases that we make ranging from toilet paper to buying a new home. But perhaps Americans who favorably view socialism take for granted that the shelves are stocked with numerous brands of both low cost and expensive toilet paper (to use a simple household item often known to be in short supply in some economies) because that is the beauty of the free market! Further addressing the drift toward socialism among younger Americans, on August 3, Dr. Michael Brown headlined his Townhall column, "3 Reasons Why So Many Millennials Love Socialism." 2) Young people today have a deep sense of entitlement. 3) Young socialists haven’t done the math.